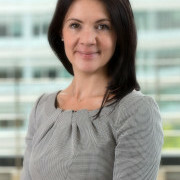 Cara has worked exclusively in the field of Family Law for almost 15 years, and has built a reputation as a leading lawyer in the field of complex children cases, including those with international elements, and in fertility law, advising individuals and couples on building families through surrogacy, donation and co-parenting under both domestic and international arrangements. Cara is recognised as a “leading elite” lawyer in the Legal 500 and noted for her “stellar reputation” for surrogacy work in the Chambers & Partners Guide to the legal profession. She leads the children and fertility law team at JMW Solicitors, who represent and assist clients living nationally and internationally. Cara also regularly comments on family and fertility law issues in the media, and recently gave evidence to the All Party Parliamentary group on surrogacy regarding the current law and proposals for change.